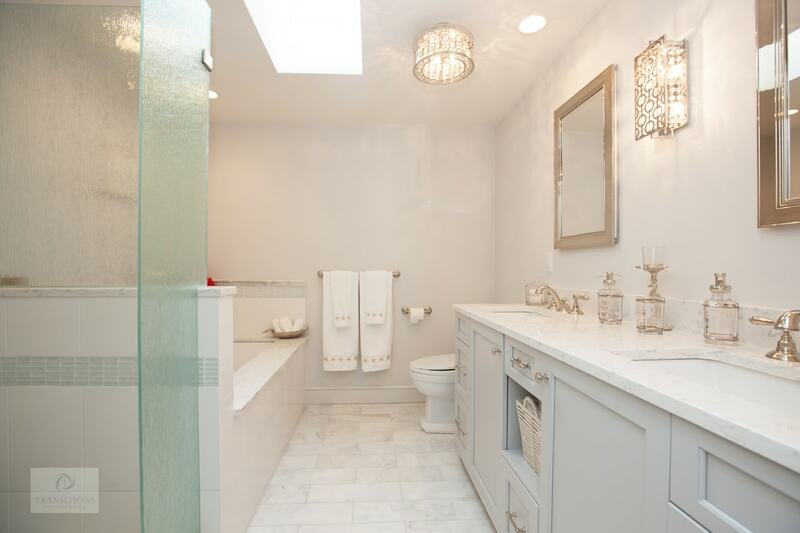 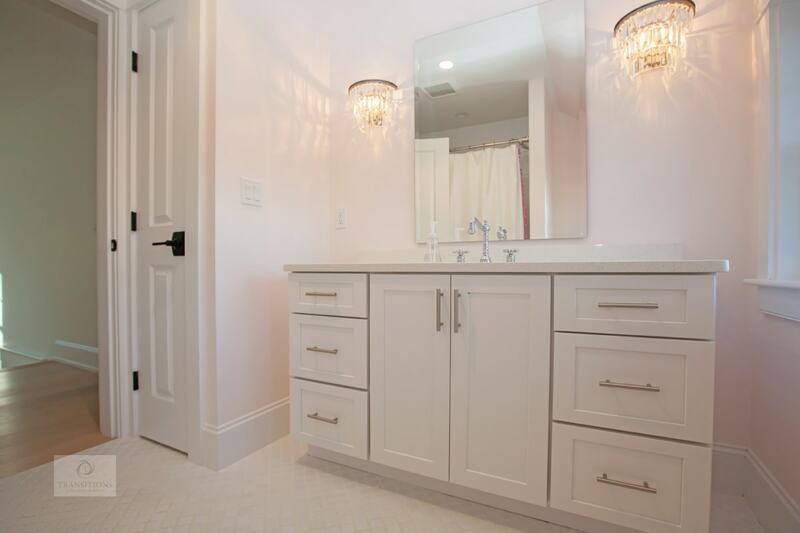 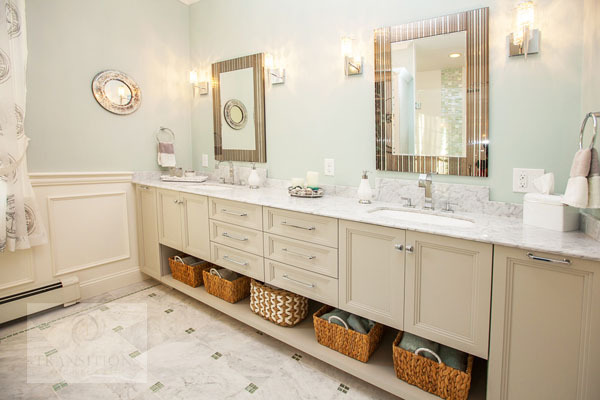 This master bathroom design embodies the atmosphere of its beautiful seacoast location in the color scheme, design features, and use of coastal beach glass. 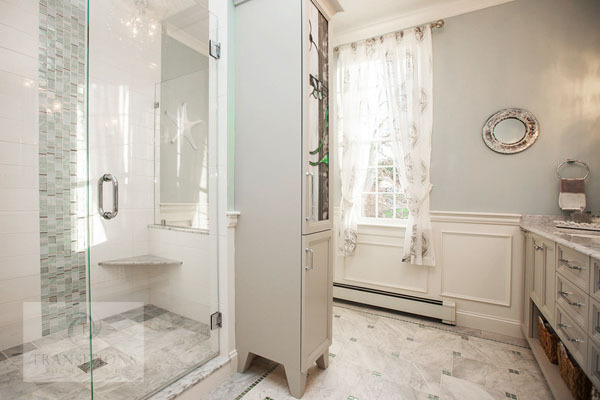 The Bianco Carrera marble floor and the shower are both complemented by glassblend mosaic details and crushed glass accents. 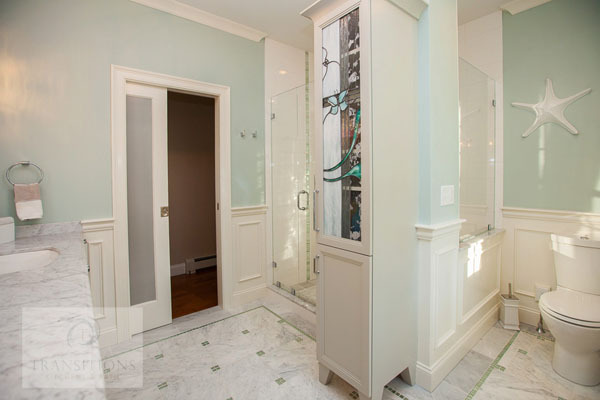 This color scheme carries through in the green tint wall color. 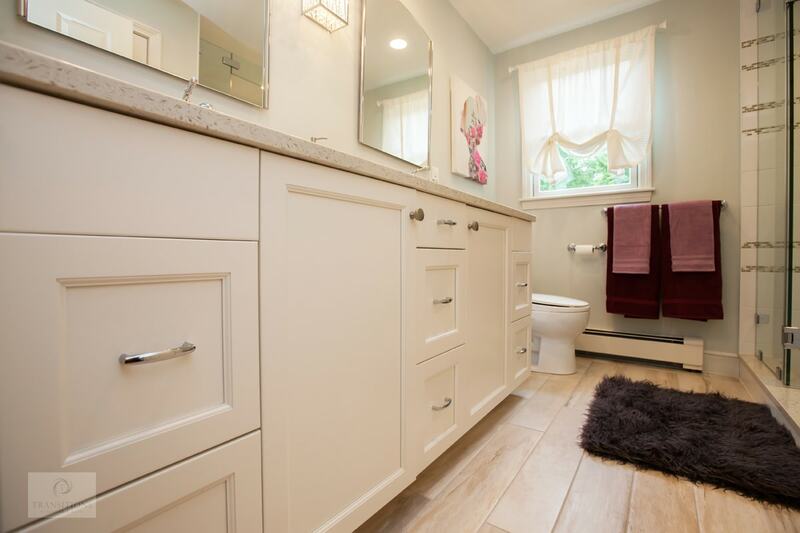 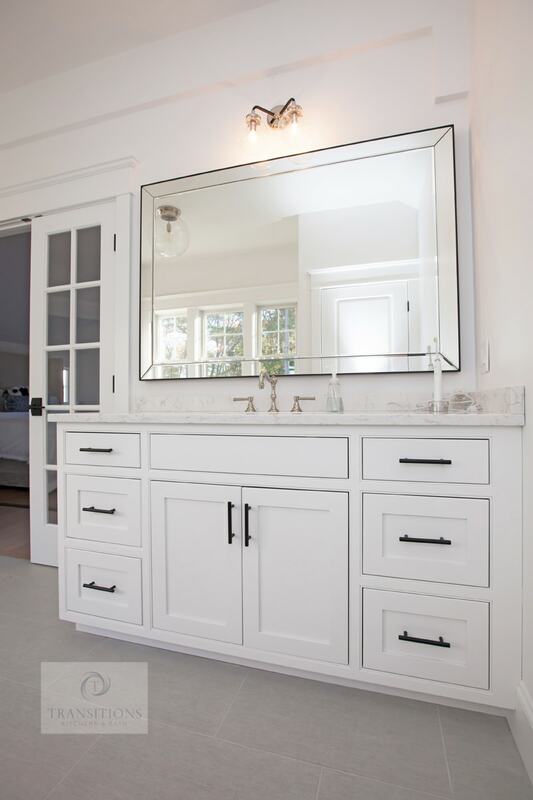 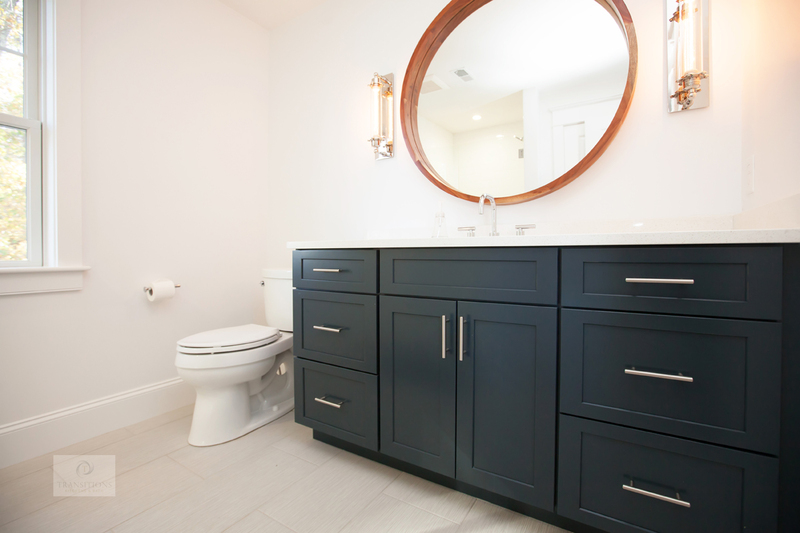 The large double vanity includes plenty of closed storage and an open shelf for display.